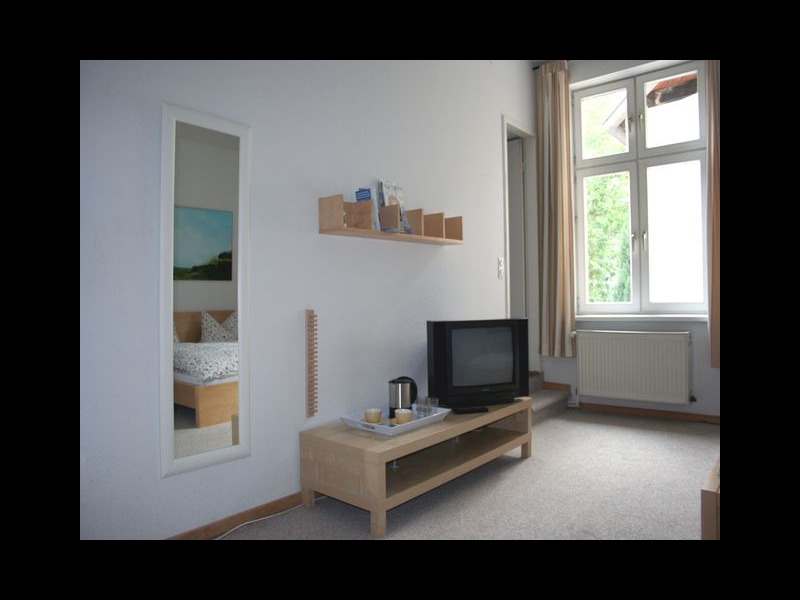 The small, quietly situated private accommodation is located in the middle of Potsdam's historic old town. Just around the corner you will find the pedestrian zone with a lot of shopping possibilities and gastronomic facilities. 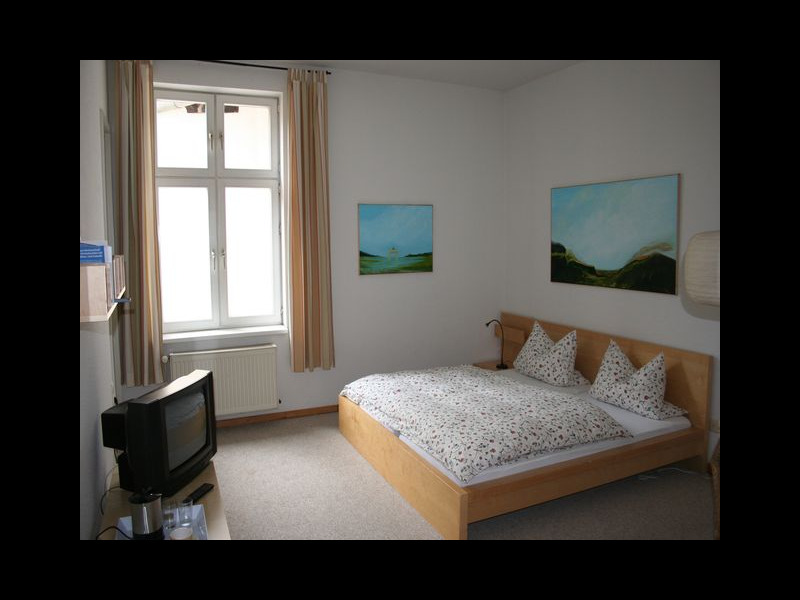 Within walking distance you can reach the Dutch Quarter and the Sanssouci Park with its palace. 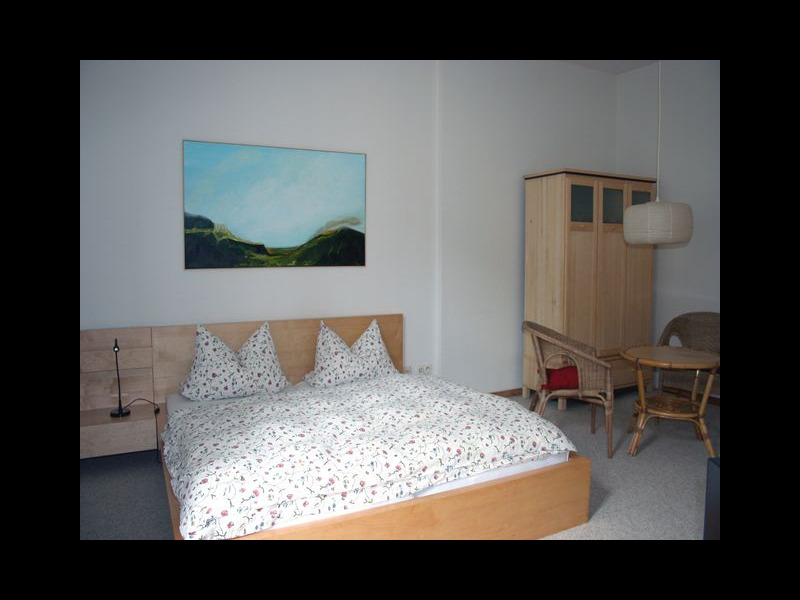 The modern non-smoking room is equipped with a sitting area, a double bed, a satellite TV, a boiler and a small bathroom with shower and toilet. The room is on the 1st floor. By car: via Berliner Ring A 10: Coming from the south: To AD Nuthetal, cross the A 115 direction Berlin/Potsdam to AS Potsdam-Babelsberg, Nuthestraße direction Zentrum, after Humboldtbrücke straight into Behlertstraße (one-way street), next crossing left into Kurfürstenstraße, this straight past the Nauener Tor into Hegelallee, this until the end, left into the turning loop to Lindenstraße. Public transport: from Potsdam main station by bus 605 or tram 98 to station Dortustraße, and tram 92 to station Brandenburger Straße. The total amount must be paid 7 days before arrival by bank transfer. Please contact the landlord for the money transfer. For short-term bookings, payment will be made by arrangement.